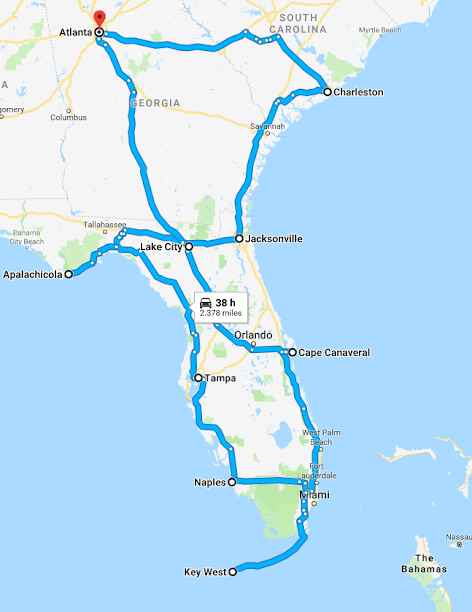 Ultimate road trip through Florida starting in Atlanta. Today Marie-Claire flies from Belgium over London to arrive on Hartsfield – Jackson Atlanta International Airport. Tom was already a week in Atlanta to attend Microsoft Ignite, and thus he was already acclimatized. I picked Marie-Claire up from the airport and from there we went with an Uber to our hotel, the only we booked up front. The price was around $62 and this was a typical motel. Nothing special, but it was clean and would do the job. Anyway, for Marie-Claire a bed was very welcome after a long flight. While heading toward Covington we had our first stop, a monastary and there was a fair with local farmers. 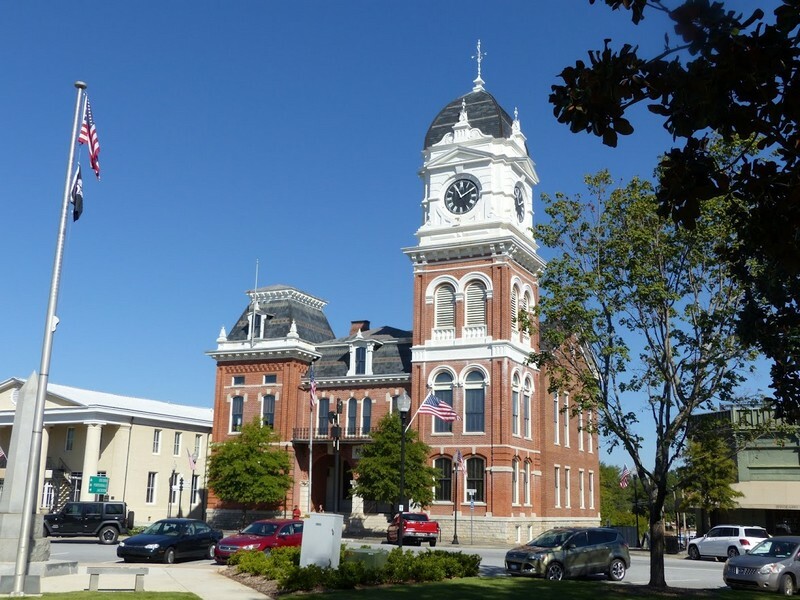 A nice starter for our trip and after spending some time we went to Covington. Although we are no Vampire Daries fans, we decided to stop here. The picture taken from the park with view on the red building seems to be a very famous location. At the end there is not that much to see, maybe it’s more special for die hard fans, so after a short stop we decided to move forward towards Columbia. After all, we wanted to be on time to tick number 18 on Tom’s bucket list: A match of American Football. 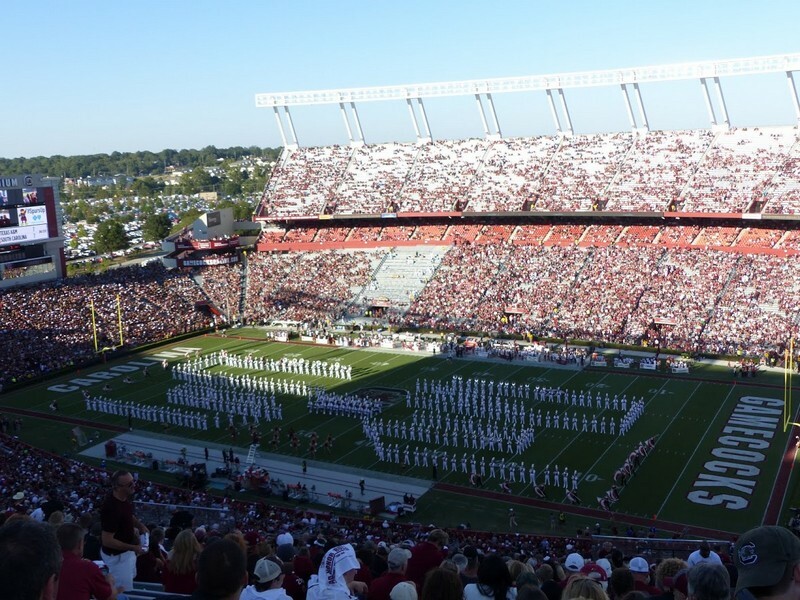 We decided to join a match of the South Carolina Gamecocks who play in the William Brice Stadium, which can host 80.000 persons. It was incredible to see that an university team gets all that attention. We are not used to that in Belgium. The game is often sold out. I think on our evening there were about 75.000 people. We advise you to go really early to the game. It takes some time to get from the parking to the stadium and its nice to feel the atmosphere before the game. The students bring huge barbecue’s, party tents, coolers, … It’s like a small festival. With all security measurements you are only allowed to take transparent bags into the stadium. Make sure you are prepared for this. Before the game and during the break the show is awesome to see. The fanfare exists out of more than 100 people and they take an entire block in the stadium. The empty block on the picture seats the fanfare! After the game we went to our hotel, Super 8 Columbia (Ft. Jackson), which was easily accessible. But yet another typical American motel. Affordable, clean and you cannot say bad things, but it stays a motel. It was enough to only spend the 8 hours of sleep. For dinner we went by foot to the Trenholm plazza, which was a 20 minute walk. We found a nice restaurant called Tazza Kitchen which served nice food and was affordable. In the morning we hit the road early towards the Congaree National Park, where we walked the 4 km Boardwalk Loop Trail which takes you about 1 hour. It was our first American National Park, but now we can say it’s not that special. But such a park is huge so there are most likely plenty of other things to do. We didn’t had the time, so we continued our journey towards Patriots Point in Charleston. We can really recommend this place. 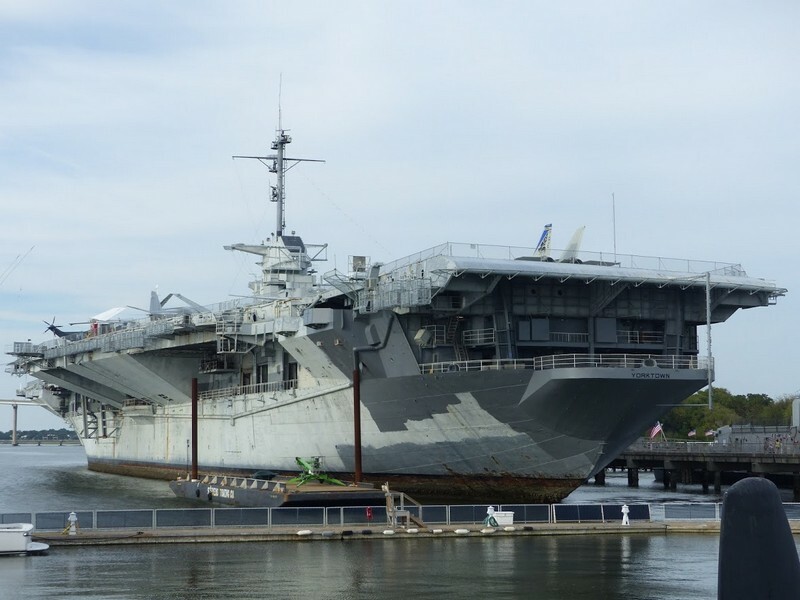 You can visit the USS Yorktown Aircraft Carrier, USS Clamagore Submarine and the USS Laffey Destroyer. It will easily take you a couple of hours to visit it all. Don’t forget the Vietnam Experience Exhibit. We were thrilled to visit a aircraft carrier and a submarine. You get a better insight in how life must have been on board. We could only try to image how it must have felt in a submarine several meters under the water surface. After our visit to the Patriot Point we headed in the direction of Savannah, we looked online for a hotel and ended up in the Howard Johnson Express, close to the highway, so perfect to not to loose too much time. From the exit of the highway we saw an interesting place for dinner, the Shell House Sea Food. It looks better from a distance than in reality. When we reached Jacksonville, we started to realize that the Hurricane Matthew was more than “just” some bad weather. People were evacuated, gas stations started to run out of gas, shops had no stock anymore, … This is normally something you see on the news, in your sofa in Europe, far far away from the hurricane area in the States. For lunch I went to the small organic La Lobas Bakery. Hosted by very friendly people and delicious sandwiches which tasted awesome as we were very hungry. The bakery is located next to Big Daddy’s Bike Shop. We can strongly recommend this location. It was already quite late when we arrived here and we booked quickly a hotel on-line, Rancho Inn. As the hotel had no restaurant we went to the city center and went for pizza. We had one of the best pizza ever, in Slice Of Apalachicola, but according to me the place is permanently closed. A pity, and if you are around, you might do some effort to find it, it’s not far from Dixie Theater. We started with tasting the local beer Oyster which was also delicious. At this moment we also regret a bit that we had booked (and already checked-in) the Rancho Inn, because the friendly hosts of the pizzeria also rented rooms and the atmosphere was very nice. After our food we had another drink and headed back to the hotel. It was already quite late. After the breakfast we went for a stroll around the lovely Apalachicola city. Then we continued our journey and decided to visit the Edward Ball State Park, where you can book a boat trip to see the nature and wild creatures. We saw alligators, manatees, turtles and all kinds of birds. After the boat trip, we went swimming, a bit scary in the beginning, as we saw alligators in the water before. 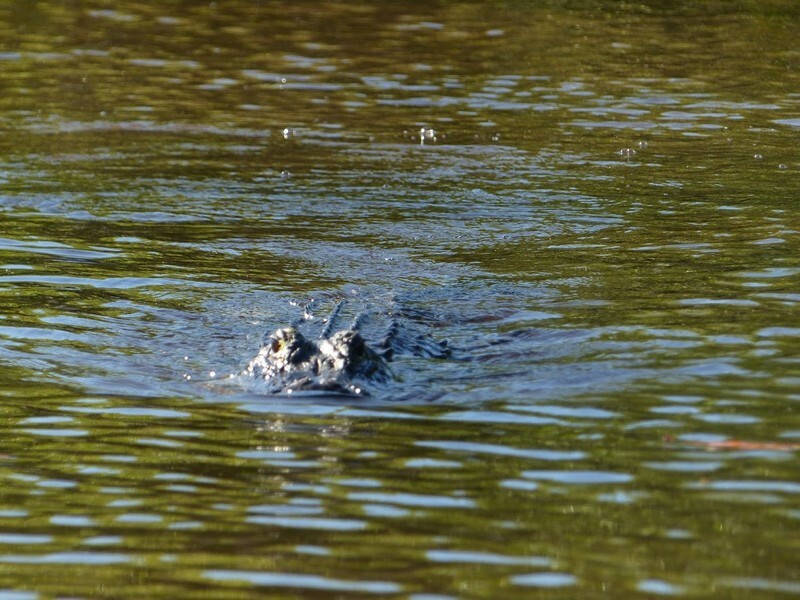 But as alligators don’t like open water too much, you are normally safe. Still, the first minutes we were not yet convinced. At the park they have a tower of which you can jump. Heights vary and you can go up to 5 meters, which is quite a distance. We did jump from 10 meters before back then in Slovenia, but 5 is still a challenge. In between those activities we ate something in the restaurant of the park. There were not many people in the park. We enjoyed our time in here. With the Hurricane Matthew still present, we decided to go back to Mexico Beach, and have some lazy time in the late afternoon. The beach was not crowded and the weather was awesome. We had a great time and rented a SUP Board. When it was nearly the end of the day, we decided to rent a jet-ski and hit the ocean. After signing tons of papers we got the jet-ski and Marie-Claire, not convinced at first, but going full speed after a couple of minutes. Riding a jet-ski in your swimsuit doubles the thrill. After a busy day at the beach, we went for dinner in a near by cozy beach restaurant called Toucans Mexico Beach. I remember good food and reasonably priced. With some doubt where to stay for the night, we went to St. George Island. We read good things about the island. It was already getting late and without any reservation we realized that the options were very limited and Booking.com confirmed our feeling. We got a room in the Buccaneer Inn, price was outrageous, staff not friendly, but at 20:00 pm you cannot be to picky. We would definitely want to visit this island again, but would look to book a bit up front. Off course, then you loose half of the real road trip feeling. For dinner we went to a place called BJ’s pizza & Subs, a kind of sport cafe. Not particular special, but close to our hotel and we were hungry. There are definitely better options on the island, but not within walking distance of our hotel. Yesterday evening we already decided that we wanted to have breakfast in the Beach Pit. We can recommend this place for breakfast. The pancakes were delicious. Before checking out of our hotel, we went to the direct beach access we had, but weather was not super anymore. Seems this was side effect from Hurricane Matthew. Overlooking our options, we thought to go to a Park more inside the country, and hope for better weather. So we visited the Apalachicola National Forest and went to the Camel Lake Campground. You have a small beach an place to swim. We were the only people in the park, and although we could swim, the weather was not good enough to lay at the beach. Looking at the distance to reach this area, we would not do the effort twice to come here again. After some time we decided to go back to the real beach and prepare ourselves for a sunset at Mexico Beach. Panic is not the correct word, but we didn’t feel comfortable. It was 21:00, and we were unable to find a hotel for the night. It was at this moment in time, that we decided to check out Airbnb. Ever since we did this, it became one of our preferred ways to stay the night. The host Cordney was very friendly and made our first experience a very good one! We decided to change our direction into counter-clockwise to delay the impact of the Hurricane, and headed to Tampa. During the day we visited the city and walked along the river from the museum to the Garrison Channel where there was a dragon boat race. In the evening we went to Busch Gardens Theme Park for the Howl-o-scream event. The park stays open late and they have several haunted houses, a concept they really master. There were 6 haunted houses but we stopped after 4. They are really frightening and the actors and scenes are insane. Even outside the haunted houses they are chasing you down. We can really recommend this. Furthermore, visiting a theme park at night and ride a roller coaster in the dark gives it an extra dimension. We had a great evening, but after 12 roller coaster rides in about 2 to 3 hours we felt dizzy enough to call it a night. Airbnb: Poolside Suite. We had no time to meet the hosts after the 2 minutes at check-inn. The room was spacious and you have an en suite bathroom. You are close to the pool, but during our time the pool was out of order due to a break down. Anyway, we did not had the time to use it. In Napels we planned some time at the Beach. We got some good addresses from our Airbnb host, but had to take the 2nd option. The first beach, was available but not recommended by the guards. When we got out of our car, we could smell why: the beach was covered by dead fish, a phenomena caused by Hurricane Matthew, according to the guards. We moved further to Vanderbilt Beach, a fancy location, and there the fish were removed, so we could enjoy a nice afternoon laying in the sun and cool down in the sea. Airbnb: Beach studio apartment. Raymond was a very friendly host and the amenities of the room are incredible. There are more present than in most fancy hotels. You can see Raymond worked his entire life in the 5 star Ritz-Carlton. He treats his guest accordingly. We highly recommend staying here. From Naples we drove through the Everglades, where we did an air boat tour. We realize this is not good for nature, but still we decided to do this tour, as we always wanted to experience this. The organisation we chose claims to respect the nature and that animals do not suffer. During our tour on the swamps and mangroves we saw several alligators. Those beasts are huge and impressive. At the end we could see baby gators. We even could hold them for a moment. A precious moment, and again, they assured the animals were treated well. Going forward we passed the smallest post office of the United States, which is really small and easy to miss. Heading further east, we stopped at the Shark Valley, where you can bike a 15 mile track. You could either take the tram or rent (expensive!) bikes. And now we can easily say it’s a tourist trap and ripoff. You have a tarmac road going to some look out tower, and you come back on the other parallel track back to the visitor center. Maybe we are spoiled by our other travels, but the Everglades, which are a swamp, are boring and certainly this track. From the look out tower, you see more swamp. We would not recommend spending/losing time here. But that’s your own call. Before calling it a day, we wanted to visit the Flamingo Visitor Center, which is quite a distance away. Same goes here, you can safe yourself the trip, nothing much to see there. A long the road we did few boardwalk trails, there were OK, but nothing more than that. It won’t be big love between us and the Everglades. We had bigger expectations from this famous park. A tip for people that get tempted to speed on the road towards the Flamingo Visitor Center, don’t! I was caught by a ranger and he was not amused. They have hidden sensors, and come after you when you speed. Luckily I did not get a fine, the ranger gave me a warning. In the evening we stayed again in an Airbnb, The House on the lake, which was splendid. The hosts were very friendly, the house marvelous and the offered us a cocktail in their garden, at the fire pit with view on the lake. We had a nice evening with these hosts. In the morning Lucia offered Cuban coffee, which tasted terrific. We highly recommend this place. Today we headed to the Keys, we both looked forward to this part of the trip. 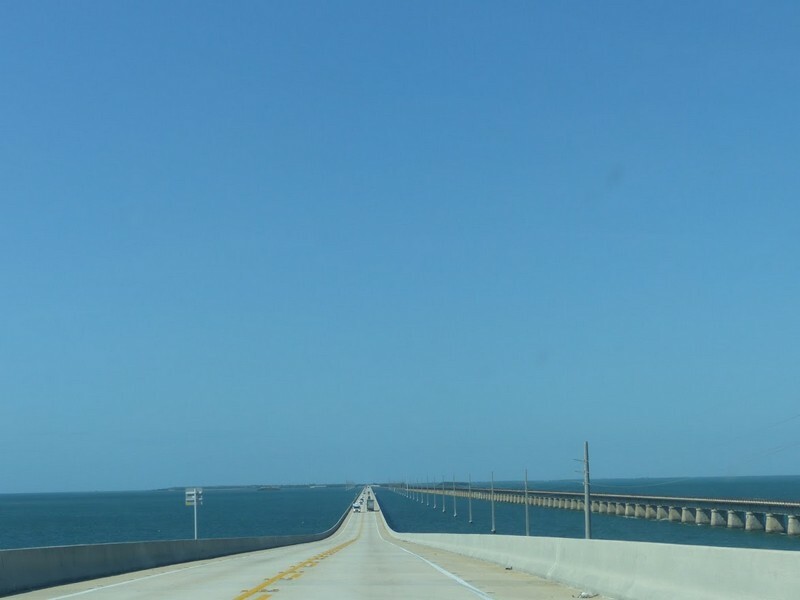 You reach Key West by taking Highway 1 which is a concatenation of bridges. We heard and read a lot about the Keys and also whether to sleep there or not. We read that hotels and parking were very expensive. Nevertheless, we found a good last minute deal on booking.com, with The Cabana Inn, where we paid about €100 and another €20 for the parking. For this we got a huge room with 2 separate bedrooms and a nice bathroom. The facilities included were great. We had a pool and a hot tub. Also the included breakfast was delicious. During daytime cold water, orange juice and coffee facilities were free of charge. The hotel is right next to Fleming Street, the place to be. So we can really recommend staying here. In the afternoon we explored the city and booked an evening snorkeling trip with Fury Water Adventures. They bring you with a catamaran to the riff where you can snorkel up to 2 hours and then you get back, with the sun going doing, drinking rum with reggae beats on the background, a trip which we really enjoyed and recommend. In the afternoon we visited the main street and shopped a bit, and of course we went to the world famous Ron Jon Surf Shop. After the snorkel trip we wandered around the city and everywhere you have cool and cozy bars. 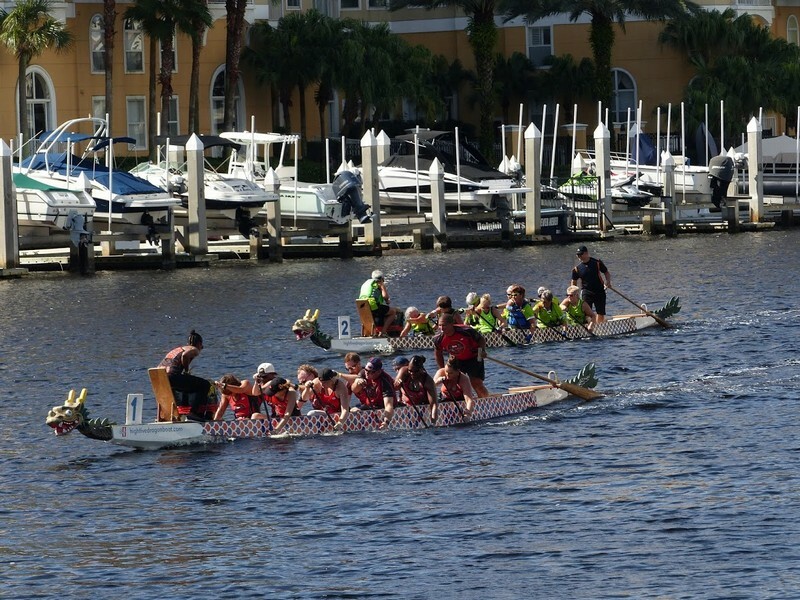 The atmosphere was vibrant and we really enjoyed the Keys. It was way better than we could have imagined and we encourage you to stay longer than 1 day. We would have loved to spend one more evening by visiting one of the great bar, but we had still an ambitious program and wanted to move forward. 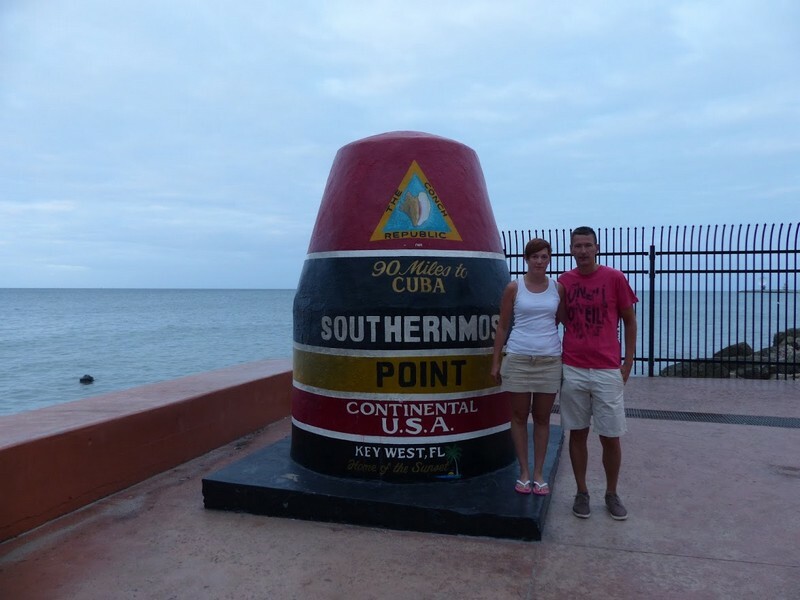 In the morning we got up very early and went to the world famous Southernmost point buoy. There was only 1 other couple and we could take the time to take some pictures. We strongly recommend you to go very early, before breakfast. When we checked out and wanted to leave the Keys we passed with our car at the same point around 10:00 and there were approximately 80 couples queuing to take the perfect picture! What a contrast with us, being almost alone at the same point. After leaving the Keys we headed towards Miami, I think we expected most of this city as it’s so famous. We started by checking inn into our hotel, as Airbnb places were limited. We found the New Yorker Boutique Hotel which was reasonably priced. From there we moved around the city by using Uber. Very convenient as driving your car in this huge city is not always straight forward. We headed to the beach and it was not as perfect as we had in mind. Off course we have seen already quite some beaches and we had very high expectations of the famous Miami Beach, but we were not impressed. We also tried to catch some views from Star, Palm and Hibiscus Island, as there you have many big houses. We event went over the bridge to the entrance, we turned just before. On the internet we have read that you can go through, if you ask. But then again, plenty of those houses are behind fences or high hedges, so we decided to continue our trip. Later we walked the Art Deco tour that was described in our Lonely Planet. It was a nice walk passing by some nice buildings. Later on we had a cocktail of $25 (twenty-five !) in the same area and went by Uber to Downtown where we had some dinner. The city was not what we expected, or we didn’t find the right areas, but we decided to head back to the hotel. 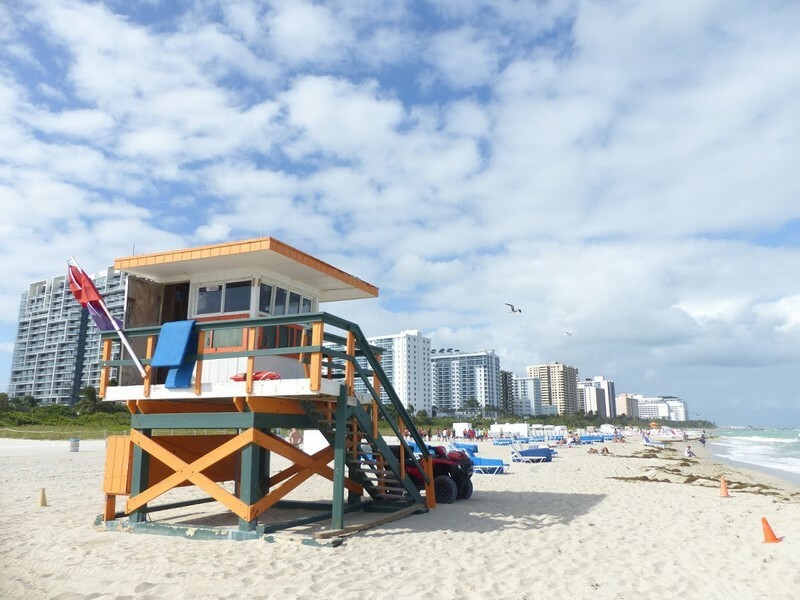 As Miami did not bring what we expected, we decided to go to West Palm Beach and start with some house watching followed by visiting Worth Avenue for some window shopping as everything they sell there was outside budget. After a while all this wealth is getting boring, so we decided to move forward in the direction of Vero Beach. After shopping for a couple of hours, we moved quite late to our Airbnb host. Luckily he was able to give us a good address for food, not far from his place. We ended up in Sandbar Sports Grill where there was a very vibrant and chill atmosphere. We got cool beer and great food. A place where we want to go back in the future. Airbnb: Luxurious Beach Home in the Cape. Due to a miss understanding our host had a double booking and as late cancellation on Airbnb is not that easy and might bring severe consequences, he provided us with an alternative stay. A newly renovated home where his friends would move in one week later. So we had the whole brand new place for ourselves. We couldn’t complain about this. Today we wanted to visit the Kennedy Space Center. We had in mind to spend a few hours in there, but we spend way more time. The place is huge, well organised and very interesting, even for people like us, with moderate science interest. We highly recommend to foresee enough time to visit this place. 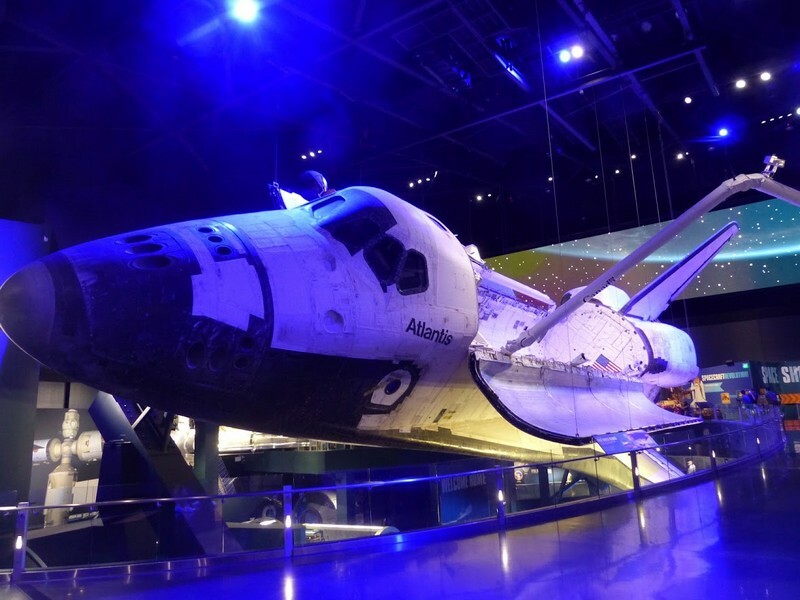 You can see Atlantis, Saturn V, the rocket garden and many more things. A ticket is not cheap, but I think it’s mandatory to visit this place when you are in Florida. We left Cape Canaveral for what it was and headed towards Atlanta, as the end of our travel came closer. We passed Orlando and decided to visit another outlet center. This time we were less lucky. The place was crowded, items in the shop were everywhere, in short, nothing like the calm and nice Vero Beach Outlet of the day before. We left in less than an hour. Our last stop over was in Lake City. There we found an insane cool location where we could sleep in the middle of nowhere in a loft above the horse stables. It has a small kitchenette, bed and such cool stand alone hot tub. Very cozy and the hosts were very friendly. 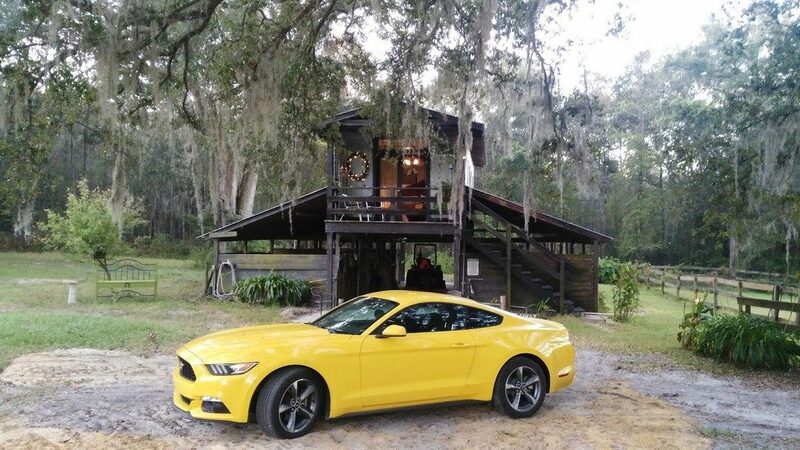 The picture I took of the place, with our yellow Mustang in front of it, is still one of my all time favorite travel pictures. On the advice of our hosts we drove back all the way to High Springs for dinner in The Great Outdoors. You cannot compare it to cozy European restaurants, but it was a nice place and we had a great steak. Nice to end a travel in this way. In the morning, we had a 4 hour drive back to Atlanta, to take our plane later that evening. Once we arrived in Atlanta we returned our car and took the metro towards the city center. We wanted to walk in the Centennial Olympic Park, but it was closed for an event. That left us some more time to visit The World of Coca-Cola. It’s created for tourists, but it’s a nice place and you see some cool gadgets. At the end of the visit you can enter a tasting area where you can taste and mix all drinks across the globe. You cannot image the kind of tastes that are produced across the globe. At 17:00 we headed back to the airport and took a flight back to Europe to arrive the day after.